As often happens with new ventures, the history, the planning, the organizing, and hours of hard work preceding the event are overlooked and neglected. The small nucleus of dedicated men and women proclaiming the need for change meets with less than enthusiasm, and not infrequently, resistance, on the part of fellow men. The movement for Christian education in Waupun was no exception. A movement on the part of the Men’s Society of the First Christian Reformed Church began as early as the late 1920’s. It would take nearly two decades of striving, persistence, and above all, faith, on the part of committees and boards to develop the small spark into a full-fledged flame. Very few members signed up. Believing that the apathy toward Christian instruction was due to the fact that parents just did not understand what Christian education was all about, the committee decided to hold summer school sessions for half days for six weeks in the summer, in the old Lincoln School. Summer school sessions continued until 1948 when the entire project was interrupted because the Lincoln School was being renovated. Each session had left the treasuries depleted. In the meantime, efforts were made to find property, but by this time World War II was in progress, and meetings were canceled because of tire and gas rationing orders of the government. Early in 1945, the board decided to purchase the piece of land where the elementary campus is now located. In 1947 a decision was made to start building a three-room school. In 1948 the society broke ground. In September 1949, 104 students were enrolled. Since enrollment exceeded expectations an additional three rooms were added in 1951. In 1957, under the leadership of Rev. John Byker and Rev. Harvey Baas, a Society for the Promotion of a Christian High School was begun. A freshman class was started that same year in one room of the Waupun Christian Grade School and taught by Mrs. Delores Peterson. While plans and construction were being completed during 1958, classes were held in the basement of the First Christian Reformed Church in Waupun. Dedication of the new high school, a joint venture between Christian school supporters in the Waupun and Randolph areas, was held December 5, 1958. Additional classrooms, a kitchen, and a gymnasium were added in succeeding years. Our present facilities also include the addition completed in 1971, which included an industrial arts wing. The gymnasium was enlarged in 1976, an addition that also added needed storage space. In March of 1997, the Central Wisconsin Christian High School and Waupun Christian School societies voted to merge into one new organization, Central Wisconsin Christian Schools. The culmination of a year-long study process that involved more than seventy society members, the merger also marked the birth of a new building project, a twelve-room addition to the west of the original high school building. Occupancy of this addition coincided with the beginning of the 1997-1998 school year, and moved grades 6-8 to the Fox Lake Road Campus to ease overcrowding at the elementary building. As our original facility continued to age, the efficiency and unity of a single-campus setting continued to be on the horizon. In 2009, the visioning process to make that a reality began. After a year of prayerful study, a capital campaign raised support for the largest building project in the history of the Central Wisconsin Christian. A new elementary classroom wing, kitchen/commons, new gymnasium and locker rooms and a performing arts stage were added, while remodeling created a new music room and practice rooms. 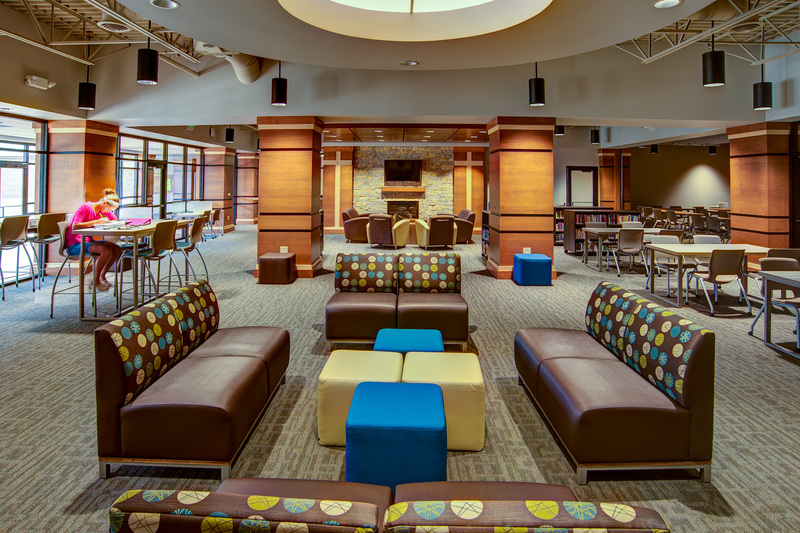 In the fall of 2011, all students enrolled at Central Wisconsin Christian were now under one roof at our campus located on Fox Lake Road. 2014 brought another chapter in our Vision 2015 into a reality with the renovation of our Middle School classrooms and the conversion of 3 High school classrooms into the Cornerstone Learning Center. This renovation took place in just 3 months and has improved the functionality of the space and is moving us forward in the 21st Century. God has certainly blessed Central Wisconsin Christian Schools. In addition to modern, top-rate facilities, CWC is a place where faith and learning connect on a daily basis, where Christ is Central in all that we do. 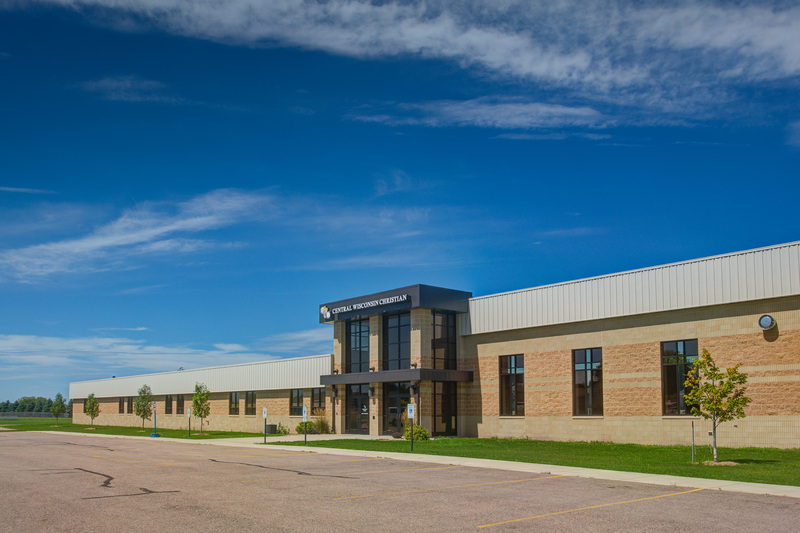 We thank our God for continually blessing Central Wisconsin Christian and all those who strive to make this school a strong educational institution that fulfills its mission. To Him Alone be the Glory!